Your barber can be your best friend, your therapist, your doctor — hey, even sometimes a magician. But they can also be the devil if you make them mad. Now I am not suggesting they might accidentally gouge you in the side of the head with their clippers or that they would even dare take a chunk out of your ear, but, if you want to guarantee a good haircut, keeping your barber happy is the best way to achieve this outcome. 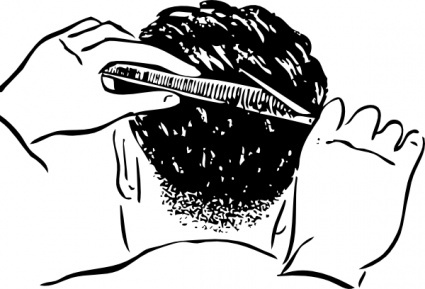 So here, in no particular order, are the top 10 ways to keep your barber happy. Whether you have a barber you see regularly or you go to a different one each time, this will ensure a good experience for both you and your barber. Barbers will see several people during their shift. Typically, they work off commission so the more haircuts they do, the more money they make. They don’t want to rush you through your haircut, but they also don’t want to spend a half hour with you while you try to decide what kind of haircut you want. If you know what you want, state it and let’s get down to business. If you are looking for a suggestion, ask them for their advice, but don’t ho and hum and take another 30 minutes to decide if what the barber suggested is the best style. It probably is since they know what is currently in style and with their experience, can probably tell you what will look good on you! On another note, if you already know how you want your haircut, know how to explain it. When the barber asks you the question, “How do you want your haircut?”, shorter is not an acceptable answer! I am going to say this again: TAKE A SHOWER! Practice good hygiene. There is nothing worse than having a person in your chair whose head feels like it has had an entire puck of pomade rubbed into their hair. And by pomade, I really mean grease. Most people who can afford a haircut can afford a bottle of shampoo. Even if you only use it once a month, use it before you come in for a haircut. We don’t want to put our hands through the greasy, slimy hair. Also, make sure you use deodorant and apply liberally. If you suffer from bad body odor, I don’t want to smell it. I definitely should not be able to smell it from across the room. Yes, the cape will hide some of the smell, but it will linger in the shop long after you are gone. In addition, I don’t suggest coming in for a haircut after you have just had the workout of your life. Obviously you care about your body, please take the time to wipe off the sweat before you come in. Besides the shower, make sure you brush your teeth as well. If we are washing your hair, we should not be able to smell your breakfast, your coffee, your lunch, or your last beer. If brushing your teeth is not available, please pop in a piece of gum. Last I checked, I went to school and I got licensed to cut your hair. Tell me what you want, but don’t tell me how to get there. If you know how to cut your hair so well, do it yourself. Then afterwards, I will laugh at you because of how bad it is and then I will fix it! Just because you got a bad haircut the last time, doesn’t mean I will do the same thing. I can not guarantee I won’t have an off day, but I will give you the best possible haircut I can. I might possibly start having a bad day if you don’t adjust your attitude. So don’t judge me and let me do my job! Just remember, every barber and every stylist has a different way they cut hair. While none of these techniques are wrong, they do produce different results. If you are always receiving a bad haircut, try finding a stylist who works well with your hair. This will give you a better haircut experience and probably a better attitude toward your barber. I am a barber, not a magician. If you have cowlicks, I can not change that. I can cut your hair so it lays as nice as possible. But if your bangs stand up straight because of a cowlick, I can not cut it so it lays down flat. Work with what kind of hair you have. There is no use in fighting against your hair because ultimately you are fighting with yourself. This is a fight were you will always lose! 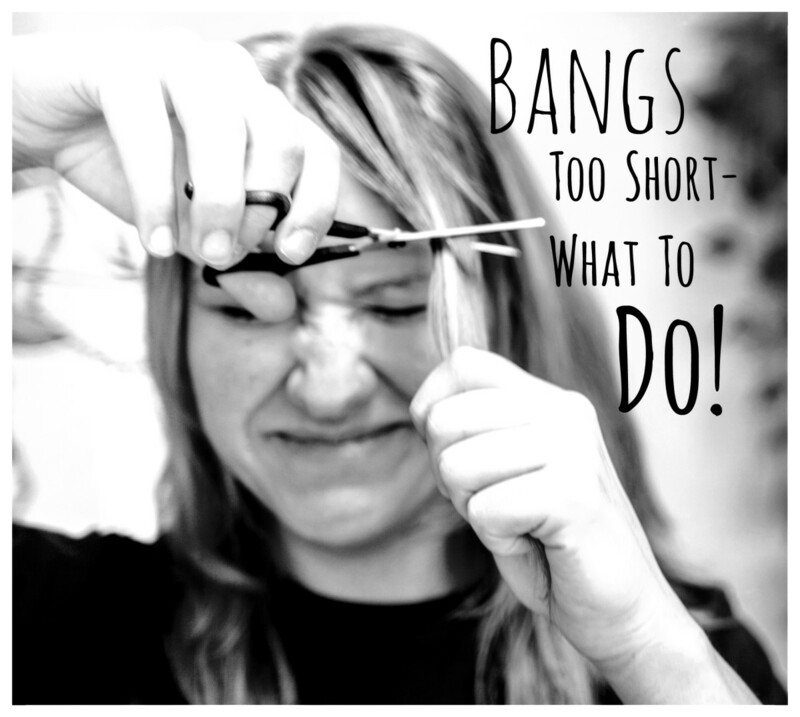 If you have thick, course hair, chances are good a shag cut will not look good on you. On a final note, if you are balding, I can offer you suggestions on how to make your hair look thicker based off the type of haircut, styling products, and alopecia prevention techniques, but I can not put hair back on your head. If you would like that, I will start chewing massive amounts of gum, stick it on top of your head, and use the hair I just cut off to reapply. I can guarantee the results will not last. If you are having a bad day, I will be your therapist. Talk to me and I will help cheer you up. Please, don’t take it out on me. I am not the reason you are having a bad day, but I can hopefully make it better. A smile can be contagious; a grumpy mood can be equally contagious. If your are in a pissy mood, it is almost certain that you will put me in a bad mood. If I am in a bad mood, I might accidentally snip your ear (just kidding)! Either way, it is unfair to growl at me because you had a bad day or because you are naturally just an irritable cranky person who walks around with a chip on your shoulder. I once had a client who came in complaining that no one in this world can drive decent (except obviously him). People like this need to take a chill pill. He ruined my night! So, next time, try growling a little less. Last time I checked, a lack of growling and an occasional smile has never killed anyone. The most uncomfortable 20 minutes is having a guy in your chair that won’t say a word to you. It is even worse when you can barely get out how they want their hair cut. Answering every question I ask with a flat “Yes” or “No” when I am trying to start a conversation is just as annoying. Where I work, the guys get to watch TVs while they get their haircut. While most guys will talk to me, some prefer to just watch the TV in silence. Usually this is the time the commercial for Hemorrhoids, Erectile Dysfunction, or feminine itching airs on the TV. This can be rather uncomfortable. I would prefer having the conversation. Unless you are a young child or you have a disease that makes you uncontrollably shake, you have no excuse! It is difficult enough to give someone a haircut if they have difficult hair to work with, or cowlicks, or thick hair, but when you add a moving target that is a recipe for disaster. 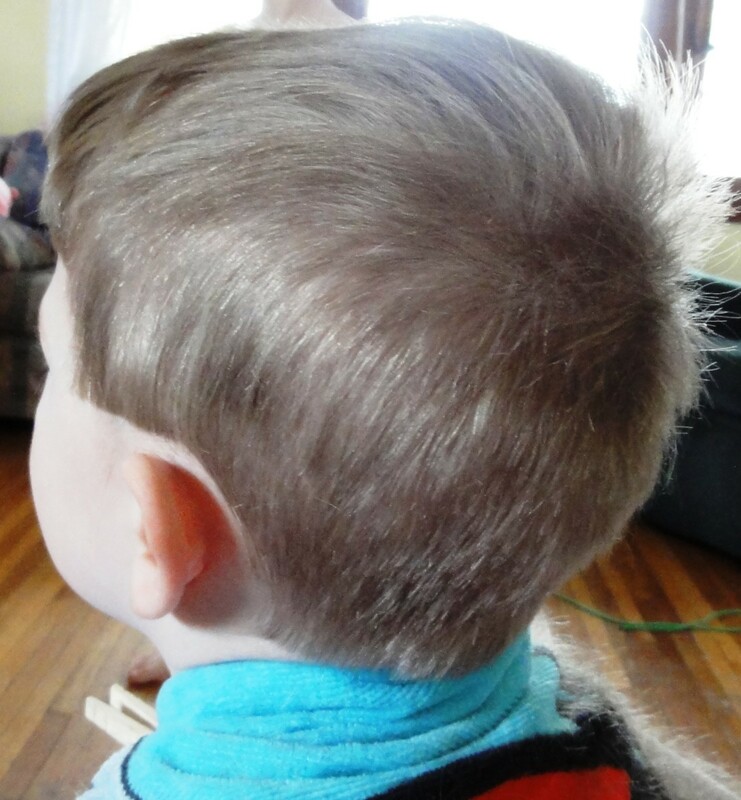 I have cut several children’s hair, and I will admit, it has tuned up my fast clipper and scissor reactions. On the other hand, people understand if a child has a bad haircut. They usually peg it on them not sitting still. How do you explain a bad haircut on an adult who shook their head resulting in a divot from the clipper? You blame it on the barber! So do me a favor and if you are sitting in my chair, please sit still. I promise if you do, the torture will be over before you know it. On another note, sit tall and sit straight. This will help us make sure you have the best haircut possible. If you want to look good, this is sound advice to follow. The definition of a communicable disease is any infectious disease that can be transmitted from one person to another. Therefore, if you have called into work because you are too sick, do not use this as a prime opportunity to get your haircut. First off, while I have built up an immune system because many others have come in and tried to pass me their colds, I don’t want you to be the one who can break my streak. Second off, if you have a child who was called in sick from school forcing you to stay home, that also is not a prime time for you to get a haircut. Bringing your sick child with you is no different then you being sick. In fact, if you do this, I will give you the parent of the year award. Go home and take care of your kid, like you should have been doing before you came in. Third off, chances are high that it is frowned upon for me to call in sick to work without finding someone to cover my shift. This is difficult. No one wants to come in on their day off and it is also hectic to move around my other request appointments. Therefore, I need to stay healthy. Therefore, if you are carrying something that could make me ill, stay home. Believe it or not, people who cut hair are in the service industry. This means it is an industry which usually works for tips. While I am not saying you should tip someone who is grumpy or screwed up your hair, or in other words gave you poor customer service, you should however tip appropriately to the job they have done. Tipping is a way to say thank you. If they go above and beyond and absolutely made your day, reach a little deeper into your pockets and treat them right. Believe me, they will remember you the next time, and they will treat you like a king every time. On the other hand, if you are a bad tipper or a no tipper, you will also be remembered. Now if you don’t give a tip because you didn’t have a stellar experience, 95% of the time, the stylist will already know they screwed up. The messed up fact is, those who carry a wad of 100s, 50s, and 20s in their wallet, are more likely to be a bad or no tipper than the person who can’t afford the haircut in the first place. So remember, if you had a great experience and got a great cut, tip your barber appropriately (this does not mean $1). And if your parents didn’t teach you when it is appropriate to tip, I am telling you now, tipping your barber is appropriate. Now make sure you teach your children the right thing to do. Now that I have gotten this off my chest, I hope I have done my part by educating the world on the proper etiquette for receiving a haircut. While you may find some of these funny, the truth is, I have personally experienced each and every one of these situations. So, now that you know where I stand (and probably many other barbers as well) go ahead, take a shower, brush your teeth and then go get a haircut! Oh yeah, and don’t forget to tip! Do you have a regular barber/stylist you see? Total B.S., I only agree with one of ten and that is the sensible number nine. If this is the reason you are complaining as a stylist, maybe you need to look into that mirror that you face almost everyday and find happiness with your work or find new work. That person sitting in your chair is their for you to help them. I say my number one problem in a barber shop or salon is the other stylist. There is two types, one who loves the art of it and the other that complains about the people that keep their lights on. You shouldn't judge people that can tip based on what and how much they have in their wallets. Everyone that Carries 20's 50's 100's bills aren't the same. It depends on each individual's heart and gratitude/generosity. 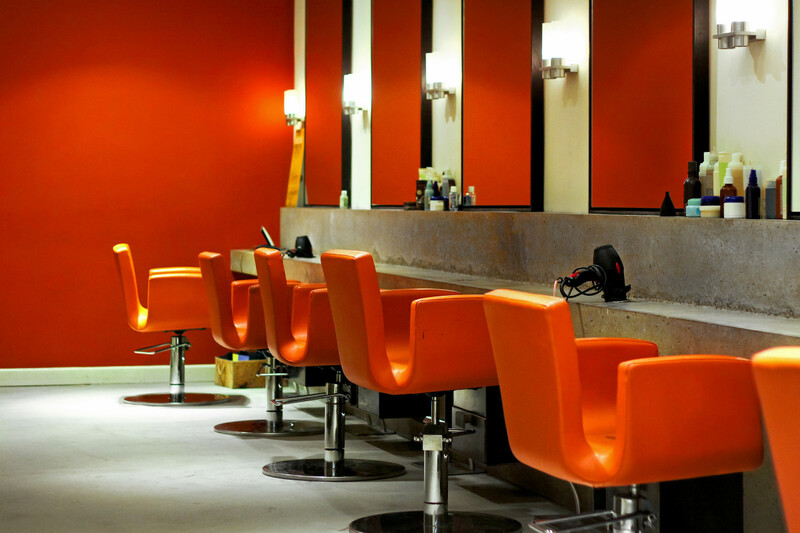 Customers shouldn't feel the pressure to entertain their stylist by having chatting, some consider a barber shop like a Spa meaning no talking much, or phone distractions but relaxation. Well you say to customers don't expect too much from you, well, stop Expecting too much and pushing or you'll end up loosing your clients. Let them BE!! Except for the hygiene part I'm all for that!!! I believe it is very important to have communication when its come to getting your haircut. A lot of barbers don't communicate with their clients and as a result the haircut doesn't satisfy the client. Barbers need to learn how to communicate often with their clients to get the clients best haircut experience. Right on comments. Been a barber 30 years,if someone has nassty,stinky hygience,I refuse to cut their hair. Nice work! You nailed it. I dont know if this was said but you forgot 'do not run into their chair uninvited" or something to that effect. I work at a shop where it is all walk-ins. We have customers that either run right to your chair before even a "hi how are you" has been uttered. Before I can even get to my chair they are either standing there in front of my station or already sitting in my chair. I find it rude. I'm not saying I don't appreciate the business. I really do, but I may not be ready. Or I might be done my shift even need to take care of a thing or two before I take you! Just something that I think every barber and even hairdresser can relate too. Hmm, thought I was paying you for a service. After working a 10hr day I prefer to get my cut and just relax. There is one girl at the salon/shop that always tries to force conversation such as "How many siblings? How old are you? What do you do?" Stuff that does not describe anything about who I am personally. I just politely say that I'd like to get my cut in silence and just relax. It's her tip. Funny thing is both times I went to her, it was the exact same questions... If she's all that's avail I come back later. @sweetie1 - When I worked as a barber, we did mainly men's hair. While we couldn't turn away females, we geared ourselves toward the male population with our services. That being said, there was women who would rather have us do their hair, but most of them went to a beauty salon instead. However, we charged a better price and you got more money for your services. At a salon, they charged more and you were still expected to tip. That being said, as a person who has worked for tips, I never expect a tip - I think it is earned. But it does make it difficult when you are already paying so much to go above and beyond to tip someone out. I submitted the comment but i wanted to change just one word and then by mistake I clicked delete button. Anyways.. 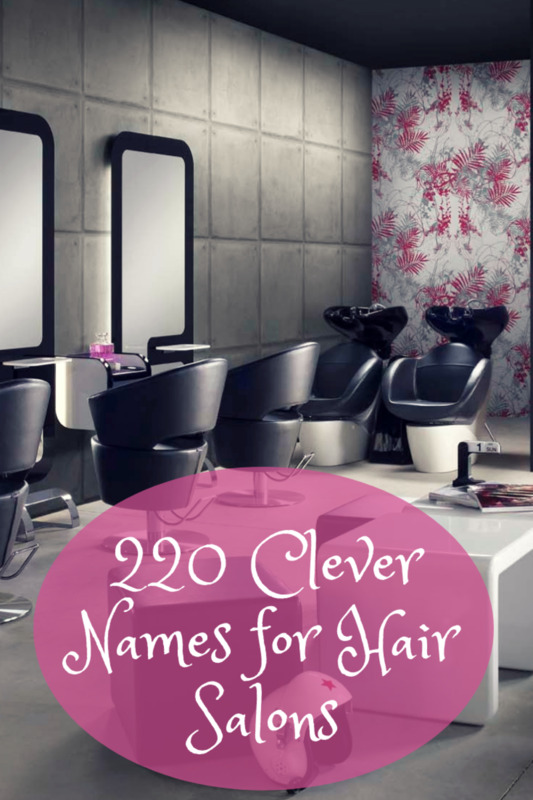 In Delhi the girls usually go to beauty parlours for the hair cut as we usually have unisex salons. 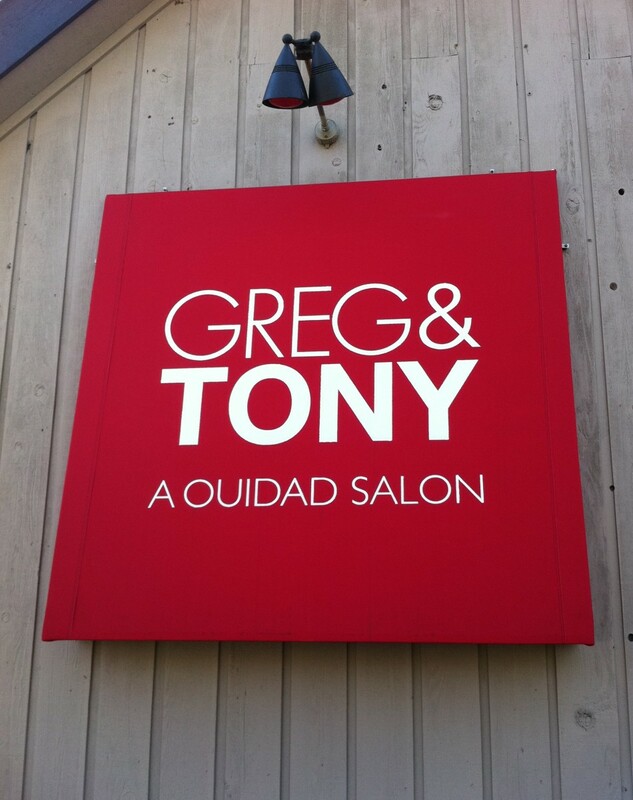 It is usually owned by the lady barber herself who does your hair, facial, eye brows and everything. Yes many points are valid here and usually she becomes like a friend to you. But tipping well thats not in Delhi's culture. No one gives and no barber expects. Only people usually get tips are waiters and now since most restaurants are putting up 10% service charge apart from 12.5% service tax so they kind of put the tip in their bill and I am sure the waiters don't get that tip but customers have already paid in bill, so either tip is going down a lot or like many stopped paying more tips in the restaurants which put service charge. This gave me an insight into how barbers feel about us customers! :) I am guilty of not being too sociable while I'm getting a hair cut, I get lost in my own thoughts and I used to think that this would make the barber concentrate on his job without me distracting him. Looks like most barbers don't like their customers being quiet? Hmmm. Have to work on that now. Glad to hear you refer to your clients as friends. But you get me real worried about how you might deal with your enemies. voted up though. just to keep on your right side. Loved it! Funny, voted up, useful, and interesting. You drive a hard bargain, but not #7! The others are reasonable desires in my opinion. The guy should explain how he wants his hair cut, but he is not there to entertain you. He is not required to have a conversation with you. Maybe he wants to think or just be quiet. If there is a commercial on television that embarrasses you, he is not a mind reader to know to create a distraction to make you feel comfortable. You can always turn it off or keep magazines. That is in your control not his. Last, you are the one who wants to make money, and you need to satisfy your customers. You have a lot of demands, and I must say that 9 of them are reasonable, but not #7. If you decide to voice these commands, get ready to close shop if you say them the way you have written them. On some jobs, you must take the bitter with the sweet. When I was young, I worked at a nursing home for a while. Old people are like babies, and you have to love them. I could not issue commands. I declare I understand your points, but unless you find a way to tell these men without insulting them, you have to deal with the odors and sweat. If you make appointments, give the funky ones morning slots. Maybe they will be fresher. I really enjoyed reading your ten tips. Knowing your past career I am sure that you had lots of customers that did not follow these simple courteous rules. I always thought taking a shower before a haircut was a good idea....now I know it is a great idea. I will be thinking about this hub and the rules the next time I get a haircut. Voted up and useful. Good fun read. My brother in law was a barber for many years. I can just about hear him now, saying all the things you're saying. Drove him nuts - he's since worked as a mailman for many years; I guess you don't have to be so polite when it's real dogs crapping on your day..
@Fiddleman - That brings back memories... not fond ones... but memories nonetheless. One time - and I am so happy it wasn't me doing the haircut, and guy and his wife came in. Apparently they work on a farm. Anyway, to make a long story short, one of them had something nasty stuck to the bottom of their shoe. It was bad when they were getting their haircut but the second they left, the stink just stayed in the air. Come to find out, the bottom of their shoe rubbed it in every where they stepped.... on the mat, inbedded in the hair on the ground, stuck in the broom now... yuck. Since I was pregnant at the time, I had to leave the shop and go outside for fresh air - it actually made me vomit. It was the grossest thing I ever had to deal with. Luckily - we weren't busy and the smell of lysol did a good job of covering it. But the station they were in stunk for almost an hour afterwards! Yucky! Home run! My son as you may already know from reading my hubs is also a barber. He is an excellent barber and all you have written is the way it should be especially about taking a bath. He had a customer once that stunk to high heaven and when he exited the barbershop, he threw away the cloth and sterilized his tools. Well, we appreciate you sharing your experiences with customers so that we don't make the same mistakes! @J.S.Matthew - Thank you so much for stopping by and including this in your online newspaper. I have to say - almost always - people that follow these guidelines will not only get a good haircut, but will more than likely enjoy their experience more as well. The bad side of this... I think I have experienced every one of these situations with a client at some point in time. "The J.S. Matthew Enterprise"! Great Hub! This was stinking hilarious! I enjoyed it thoroughly! LOL SO FUNNY! Try to be socible? Well let us see, many women get their hair done, manicures and pedicures. Many men "do" their own nails. What does that leave a man? That's right, you guessed it,a haircut. If your customer is giving you one word answers a polite hint that he does not want to engage in conversation. He is hinting and hoping you'll understand. He just wants to relax and enjoy a peaceful haircut. It can be very soothing. A kind of therapy. Does it not bother you while you're getting a massage and the massage therapist just wants to keep talking? That's the only thing worse is when a stylist or barber is holding conversation with another stylist or worse yet a customer who is next in line for a haircut. What, they can't wait until the customer gets in the chair? Please. I cannot tell you how to get customers in the door. Well I could but that is another conversation. If you want it to keep your customers and increase your tips, allow your customers to just enjoy a quiet, peaseful, soothing haircut if they wish not to talk. 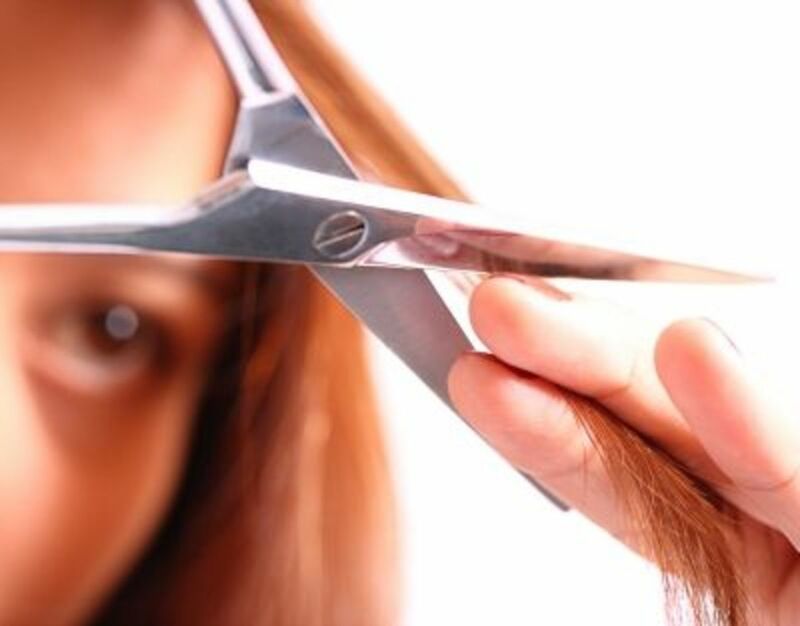 I enjoy the calming sound of the scissors and your fingers working my hair. I really agree about the shower and shampoo. Let's not forget to brush your teeth! I wish you could come give me a haircut! I would leave you a good tip and talk nicely and be a really good client :-) Still even after rereading this I must admit you give some good advice! @rolly - you are very correct. It all depends on what the person is looking for. Thanks for stopping by! Your barber stories and advice are always entertaining. Of course you are entertaining no matter what the case is! I remember I had read this one a long time ago, but revisiting these are fun! @Jeannette - First off, I have to say I think it is wonderful what you are doing. These patient's need this service just as much as anybody else and making them feel good about themselves is a great way to help them get better. As for your coworkers, I would gently tell them that per your job description you are unable to cut there hair (even though you are aware of them only kidding), and you would appreciate if they stop requesting your services. Unfortunatley, if the easy way doesn't work you are going to have to get a little more direct. Tell them that what you do is just as important as their jobs and treating you like this is disrespectful and no longer will be tolerated. It is sad to think these people might be asking these questions because they don't think being a barber is a respectable job. But be proud of what you do and you can even tell them that. Because what you do is important. I hope this helps you. I work as a barber in a hosipital.To cut only patient's hair but the workers like cna and housekeepers always ask me for hair cuts.And they are just kidding.But i do not like them asking me all the time.I dont think its funny.I feel good about what i do.How can i stop there stupid questions? barbergirl, Happy New year, I buzz the neighbor lady today in my kitchen for the part tonight. That's her picture very cool flattop! Shoulder length to military flattop at 47 very hot! what do you think. Barbergirl, I really hope your family had a great christmas, we did, my hubby shaved me with his new razor full bald horseshoe now. I love it! great work out haircut. see you later. @Kellymom1970 - I am so glad she absolutley loves it... and possibly got a date out of it. She must sure be rocking it! I bet she is going to get all sorts of reactions at Christmas as well! Awesome! Barbergirl, MOM loves the new cut! She has never had her hair this short before. She is bald everywhere now but still has a flattop. I cut it at my shop the old men in there were going cazy over it. I think she got a date out of it.lol She looks so cool! Thanks, I think this summer I taking her to a full horseshoe flattop. Barbergirl, I think my mom is Susans twin, (By the way Susan very cool for getting a horseshoe)as a barber love cutting them. I have only cut 1 woman with a horseshoe,and I had one when I was around 25 or so for a summer. So, back to mom she called me today, it's only been 2-3 days and said the top is getting to long and need to be cut again,lol. Barber to barber should I use a 0 again, 000,or just straight razor it. Maybe a full on horseshoe like Susan said she getting. thanks again. @Susan - Wow - a new razor... I bet he is going to love it. Go get that horseshoe and rock it. You guys have a great holiday! barbergirl, After all this working out and shopping and reading about kellys mom. I'm going on fri before my office party to bring back my horseshoe flattop. My husband still has his, I got him a new electric razor for Christmas,they say it cuts so close you don't see hair for three day. When he opens I going to let him try it out on my horseshoe flattop first and then I'm shaving him. Then we will be off to the family rounds house to house. I have really come to like the horseshoe flattop more and more my kids even like it on me. @Kellymom1970 - That is really cool. I am glad you guys were the talk of the place. Hope you have a great holiday! barbergirl28, I had to take my mom for a check up, and about 20 female nurses and doctors just love my mom and my flattops. We were the talk of the place. I ended up give out 7 or so cards 3 said they wanted a flattop and 1 came in and got one last saturday she is about 30 with really dark hair,she look so cute. HAPPY HOLIDAYS! @Susan - I shave my husband bald all the time... what can I say - the feel of freshly shaved skin is awesome! barbergirl,Thanks.No this is the horseshoe flattop I had over the summer it was great for the heat. My hubby was shaving me bald here he had one also. @Susan - You are crazy but I like crazy. Is that a new picture I can't really tell if you still have the color in it! Love the look on you - it really suits you! barbergirl, Hi hope things are going good for you. Here is apicture of my horseshoe flattop what do you thing am I crazy! or what. @Kellymom1970 - Yeah - can't wait to see it... on my way now! @Susan - you are beautiful inside and out. And truly, I believe you have what it takes to pull off whatever you would like. It looks gorgeous!!! And you are very right - it is only hair. Eventually it will grow back! Kudos to you! Oh yeah - and I think either suits you so go which ever one you are grooving at the time! Barbergirl28, I did it! 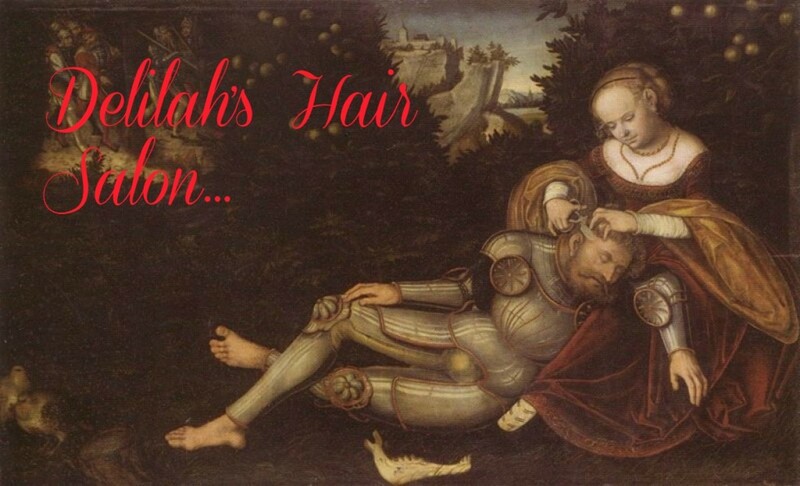 After all it is only hair right. What do yoy think, Keep it or buzz it into a horseshoe flattop haircut. @Susan - You seem to be able to pull off anything so I can't honestly say no. However, there are 2 different kinds of hair dye that you can go for... the permanent which will stay until it grows out. That won't be too bad for you because you cut your hair so often and so short. However, be warned if you don't plan on keeping the color it will have to grow out and will at one point reach that awkward phase where your normal color is on the bottom and you have red tips. But, I guess it depends on how red you plan on going. My hair has a red tint to it, but it isn't Santa color red. If you want to go a bright red (think Santa suit) I would do a temporary or demi-permanent hair color. Demi would wash out and fad as the hair grows and is washed. If you do it I would love to see it! barbergirl28, I thinking about coloring my flattop bright red for the holiday, yes or no. Let me know what you think. Thanks for reading my hub! @Kellymom - I have to say - you look absolutely stunning with a flat top. As a barber, I never really got much of an opportunity to do women's hair in the actual shop. It was actually frown upon because it was set up to be a place for men. The view was women have there place - the salon and men don't want to go get there hair cut and breath in all the fumes from perms and stuff. But, we did allow women if they insisted, but they didn't get any different treatment from the men. Needless to say, we didn't see them too often. I have had a few, but only one was actually a buzz cut. Those are definitely my favorite kinds to do. I think people underestimate the skill it takes for a good buzz cut. Thanks for stopping by and leaving a comment. I look forward to hearing what you have to say about the Barbering business! Barbergril28,VOTE UP, from a fellow barber. I just love giving womens military haircuts. If you come into my shop and you are a women your leaving buzzed.I have been a barber for over 20 years,I got my first flattop in barber school and have had one on and off ever since,as of now I wear a flattop for the past 3 years. My mom she 70 I have been giving her a flattop for over 11 years as of her birth a week ago, she now wears it a white 0 side and back 1/2" on the top,she just started that this past summer. I say good for her. I love to see all of these flattop women around the internet. Barbergirl28,I could see you in one after the wedding,Plus you are going to have one hot body mama! @Mary - It sure does sound like we have a bit in common. I am going to have to check out your review on The Surly Barber. I love the barbering industry. It is just so much fun. And feel free to link anything you would like. I appreiciate it! Barbergirl28, I have following mary615,she is such a great writer. We have been back and forth about her getting a flattop don't you think she would be such a hot number with one. I told her you can never be to old. What do you think? barbergril28, I thank you so much for the hair advise. I love the flattop cut so much. I am going thursday for a trim up. It's been round 11 day this will be my 3rd cut,It turned my love life around 300%. So thank you girls so much. I thinks for christmas I'm going to get a short buzzed flattop. My mother in law said she want the same flattop as mine. I not telling how short we are going I hope she like Susans flattop that what I'm thinking.Lol I love you guys you changed my life. @Susan - Glad you are still loving your flat top. And I can agree - you better get the sunscreen out and lather it on the top of your head. I have seen way too many guys come in with burnt scalps. That does not make for a very fun haircutting experience. Barbergirl28, Well I can say my barber is still happy to cut my hair, back 2010 in June, Jill wanted to take my flattop very short well, horseshoe flattop short. That was a whole new experience.I thought, I look good out and about with a sundress on and big earrings, I did have to wear suntan lotion on the bald part of my head,that Texas sun will burn you and I don't like to cover my hair up.Well, Jill wet shaved my flattop again yesterday not a full horseshoe but full shave sides and back with bald landing strip. I think it looks even better now that I'm down 10 lbs and more fit. My husband said I look like I am 40 when I ride in my Jeep with the top off. Linda, Love the new flattop on you. So cool. @Linda - that is awesome. If I am thinking correctly you updated the picture. If so - it looks great! You definitely have the look to pull it off. Glad you went shorter and glad you absolutely love it! @Susan - glad to hear all the fun you had!! That is so cool! We might see a sudden movement of women getting flat tops. You might be starting a trend! Barbergirl28, The hair, nails and the new body were a hit at the party.I went as a barber(lol) I think some husbands are begging their wives to go to the barbershop now!I had more men talking to me a the party,my husband was laughing at them all. @LydieRVgirl - use that to your advantage and get crazy with it. Worse case scenario - it has to grow out! Glad you are enjoying the cuts. It seems there are so many out there that are loving the look! Barbergirl28, She does owe me, LOL! !I think we are just some cazy old ladies. I'm so happy I did it becuase I love the look.I guess time will tell. Thanks, you are so cool!! @LydieRVgirl - I think that is so neat that you and your husband go to the same barber. I truly think barbers are great at their trait. Glad you guys are enjoying the flat tops. Does your husband get a flat top as well? barbergirl28, I just got my flat top trimmed up. The barber did such a great job.I told him to take it shorter on the sides and back #1, top still 1/2". The same barber did mine and my husbands. Leaving for the winter,Florida here we come. My husband jokes,he said a family that shaves together,stays together. We did tip the barber, very well. @Susan - probably not. 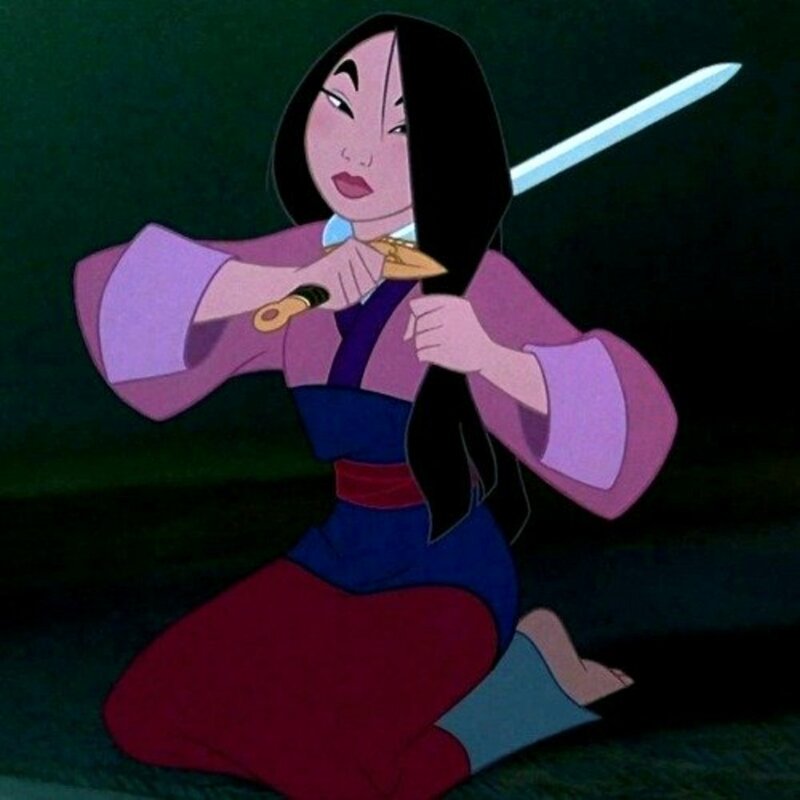 We moved about 10 months ago and I don't know too many females out here, much less those that aren't completely attached to their long hair, but if I find one... I will let you know!